Midway into my travels, I have this habit of buying souvenirs. 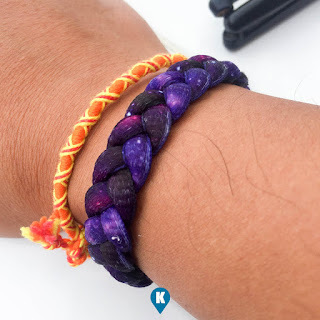 I'm not into these statues or ref magnets but somehow I've been buying these bead bracelets (that break), ivory (fake) pendants and now these friendship bands. In Puerto Galera, they still have these beads, ivory pendants and necklaces, statues, t shirts and what have you. During my diving trip to Arkipelago Divers, I was wondering where to buy some and I can only find them peddlers on the beach. 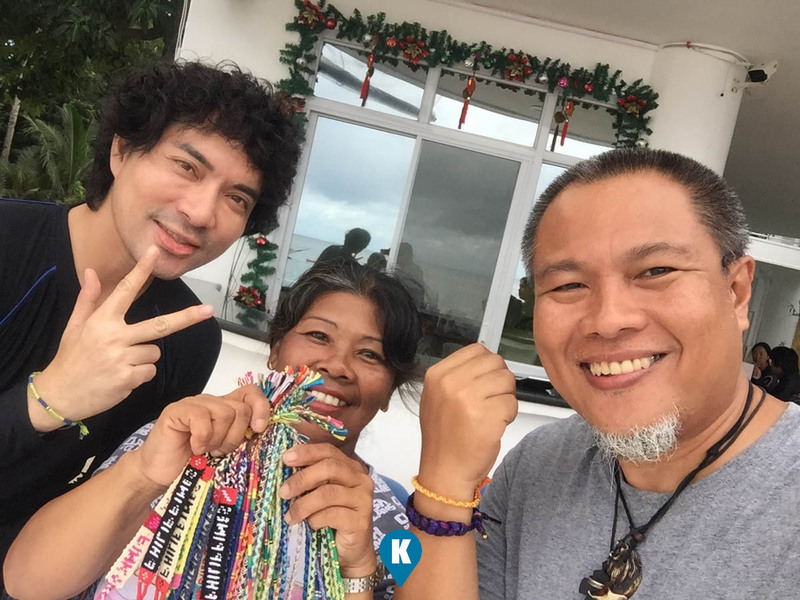 I happened to meet them while we walking to Sabang Beach and we didn't have time to stop and browse over their wares. On our last day, this lady selling friendship bands got my attention. In most beaches I went to, this was my first time to encounter these bands. They are lovely and handcrafted and is unique I assume. 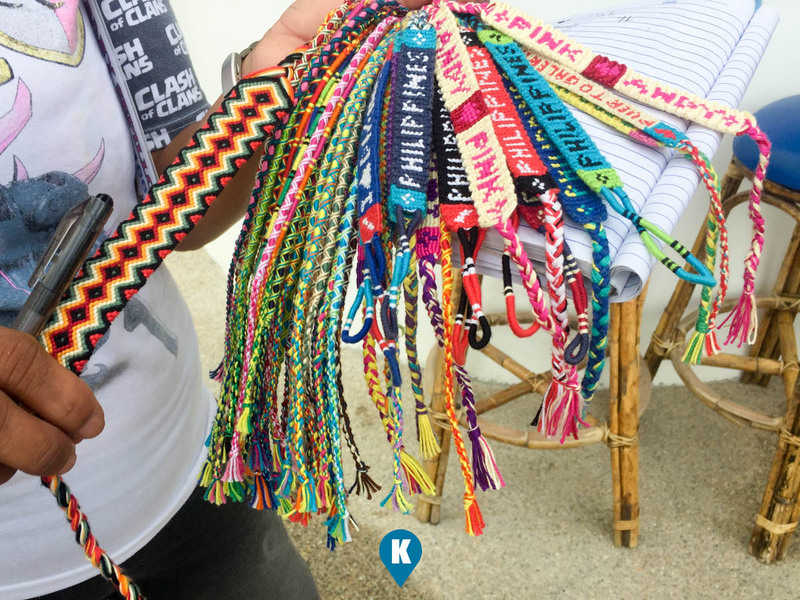 The bands cost only Php100 for 4 pieces and those with letters or bag tags, you can customize them by requesting your name be braided into them, that would cost Php150. I would have preferred the bag tags however we were almost time for our ferry and making a custom bag tag would not be a good idea. 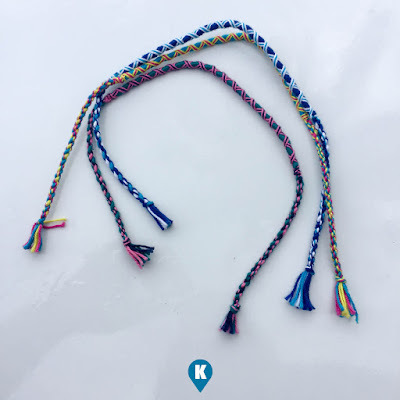 So I ended up with these friendship bands that look snazzy on my wrist. It was so nice that my daughter picked one for herself upon arriving home. Why do I buy these souvenirs? Some say its just a waste of money, but for me I'm helping the underground economy. As long as I don't feel being robbed of my money (people think I'm a Japanese tourist on a beach), or increased their prices for me, I buy some stuff. I feel like its keeping them away from doing some bad things to the tourists with this business. I do hope most locals don't prey on dollar toting tourists with increased prices on stuff and services. So when you are in Sabang Beach in Puerto Galera, look for this lady, Ate Baby selling these bands..
Now I can't discuss about Puerta Galera without thanking our gracious hosts, Pedro and Amy Magsino, owners of Arkipelago Divers. They have an awesome dive shop along the beach staffed with great and always smiling dive masters and instructors, its been an great experience diving with them. 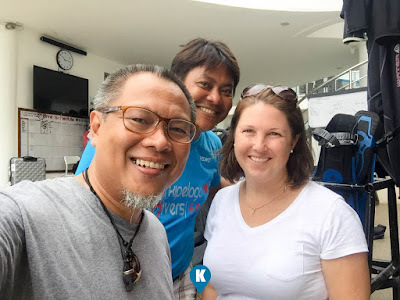 So if you want to have a good time diving in Puerto Galera, contact them at their facebook page here - https://www.facebook.com/arkipelagodivers/.